She woke me up at 6:00 AM on a warm, summer’s day. I couldn’t remember if I had breakfast before we left, but I was certain she had already prepared fried rice or pan de sal on the table. Once a week, Lola Aida and I would go to the market to buy ingredients for the dishes she planned to cook for the entire household. From Blumentritt, we’d do a short walk going to España Boulevard and hail a jeepney going to Trabajo market. It was always our routine to visit the wet section first so we can still catch the freshest fish, seafood and meat. She was close to being a public figure because whenever vendors saw her, she’d be greeted warmly and be given the best selection of their goods. Lola knew which stall to go first and everytime she dropped by, her preferred vendors were excited to see her. I was sure it’s beyond a seller-buyer relationship. They were just happy to see this small, thin, and sharp-witted old lady who instantly lit up the place whenever she smiled. 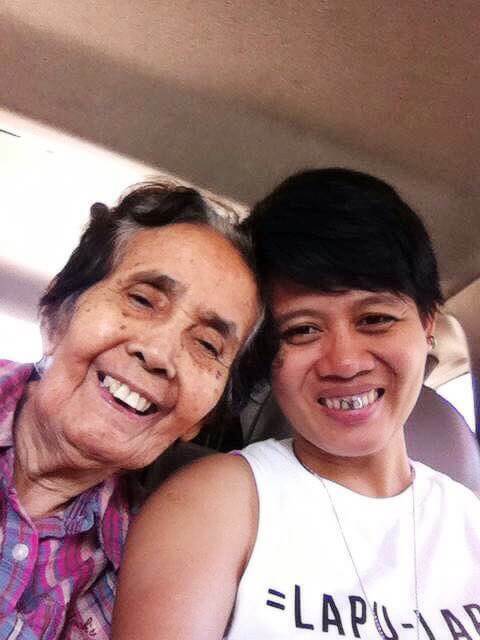 And lola’s smile was always genuine. On the way back to where the jeepneys take in commuters, we would buy fruits and vegetables from vendors who perch up their goods at the sides of the street. I would carry all the heavy plastic bags filled with our purchase and she would hand out money from her coin purse she held so tightly. As a reward for that day, she’ll buy me any hair accessory I liked. 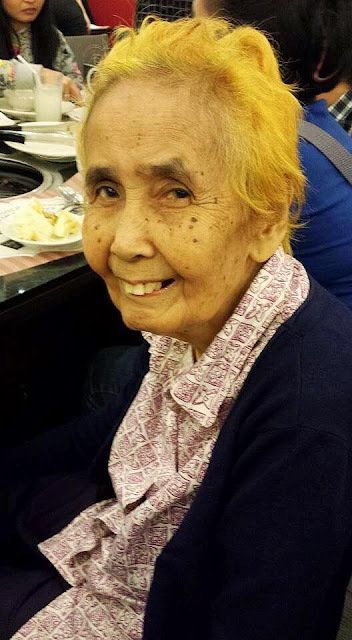 As soon as we stepped back to their apartment in Manila, she’d pull out her notepad made out of more than 100 leaves of scratch paper, punctured and fastened together. She would slowly write down every item we bought, including the smallest of details. She was sharp and quick to compute when it comes to money – and that’s one thing you cannot trick her with. When it’s time to prepare the dish, she’d teach me how to peel the vegetables, chop them, and slice all other ingredients. In the kitchen, she’d instruct me step-by-step on how to cook a certain dish. And when it gets difficult for me, she would take over. 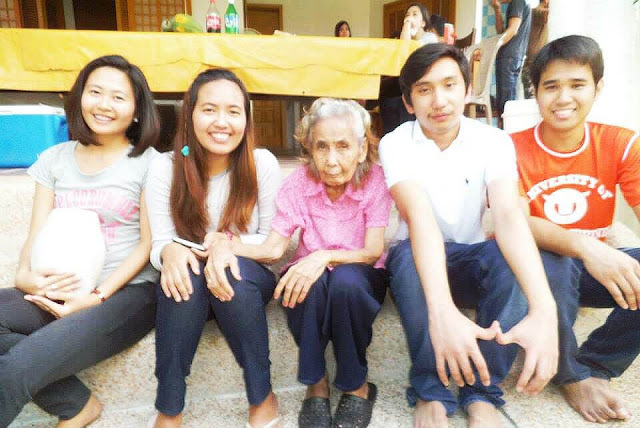 A few years later when she and Lolo Ben moved back to the province (where their house was a little bit far from civilization at that time), my sister and I began our month-long vacation at their house. I had food poisoning from a restaurant where we dined in the day before and I had been feeling ill for hours. On my sixth trip to the bathroom (Loperamide still not working), I saw her worried sick and she was borderline angry for me not wanting to go to the doctor. I yielded, so we stepped out of the house and waited for quite some time (30 minutes, maybe?) before a tricycle passed by the street. With her wrinkly hands and thin arms, she hailed a tricycle and instructed the driver to dash out onto the nearest clinic. To be honest I was more worried about her than myself being physically weak and pale, for I wouldn’t know what to do if she suddenly lost consciousness out of worry. I was in high school back then and didn’t have any money of my own. But that was more or less 20 years ago. On the first of June 2018, she breathed her last breath. 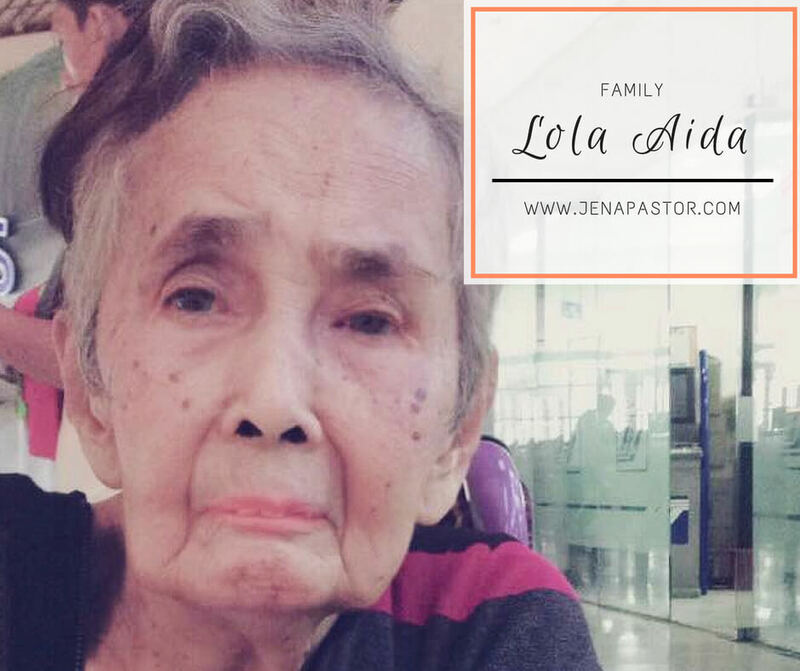 For the last ten years, Lola Aida had gone through so much with her health. Starting from Dementia to Alzheimer’s disease, she would gradually transform into another person we didn’t know of. She’d constantly forget our names and ask the same questions repeatedly. She’d do the same activity more than twice, get bursts of tantrums, and brood most of the time. And on top of all that, she had countless “vacations” to the hospital and had undergone surgeries. Even with old age, frail body, and fleeting memory, she was a constant fighter. All her children, who have been preparing themselves for years when this day would come, had painfully yet silently let her go as they watched her drift away two nights ago. As Lola was battling over her memories, her children were fighting for her life, too. 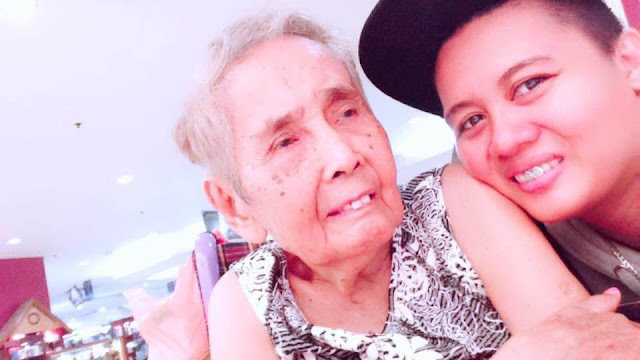 Her companion Jhoe, who cared for her and witnessed Lola Aida’s transition for six or seven years, loved my grandmother as much as her own, maybe even more. Jhoe would feed her, dress her, give her medicine, and clean up after her. She was the one who watched after and grasped the unwanted changes of my grandmother when the family had responsibilities of their own, when life took over. She probably had received the biggest impact on lola’s transition and eventual demise since she was with her 24/7. I could only imagine the grief she has been feeling right now upon seeing my grandmother’s few belongings, her wheelchair, and her empty bed at home. That side of my grandmother I didn’t get to know too well – the last few years she had left. Lola Aida was the first one who trusted me in the kitchen. It wasn’t my mother who taught me the basics of cooking – it was lola who first taught me how to hold a knife and how to sauté. She was the one who tasted my very first dish unassisted, which was clam soup because she needed the extra calcium as she had started battling with Osteoporosis back then. It will always cross my mind the way she folds and counts her money at the end of the day, or the way she pins extra cash to her pajamas (in case of emergency) as she goes to bed. She would make sure there’s always a pitcher of cold, orange juice in the fridge. She would gladly prepare champorado for her grandchildren whenever we asked. She would cook gulaman bars from scratch and I could never figure out how she’d done it so perfectly, that I just ended up slicing the gelatin from the pan. Before she starts the day, she would comb her hair, put a hairband on, twist her hair up and pin it with an old-fashioned metal clip. This had been her style for decades when her hair was still long. She would always boast of having a good doctor in Sampaloc, who would only require patients Php 50 (US$ 1) as consultation fee. She would always say she didn’t have money, but we all knew she kept it inside her wooden briefcase filled with mementos and her grandchildren’s photos when we were younger. I would sing to her songs from telenovelas she would watch on a daily and she would warmly smile back. She would sing songs I never heard of and hand-dance whenever she hears the beat of cha-cha blaring from lolo’s stereo. She lived a colorful and brave life, one that’s far from perfect but one that she loved. 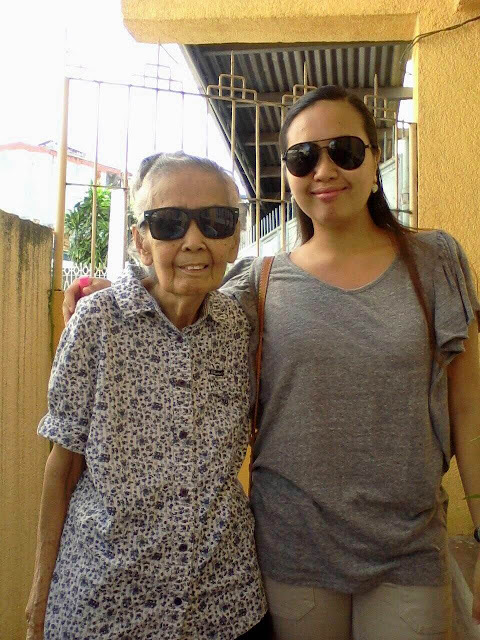 I will miss you, lola.